If you’re looking for a slice of pure, quaint Americana, the Great Plains region is a brilliant destination for an RV trip. There’s no better place to start than Nebraska, the heartland of America. Rural Nebraska offers visitors views of the state’s quintessential cornfields (it’s called the cornhusker state for a reason), but the landscape also has beloved gems like Chimney Rock National Historic Site, Scott’s Bluff National Monument, and the popular summertime getaway Lake McConaughy. The state’s capital, Lincoln, is filled with charming shops and cafes and plenty of historic sites. 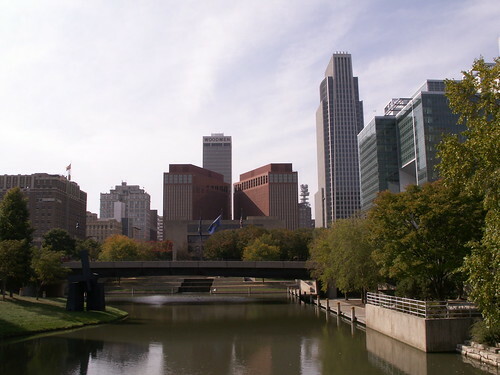 Omaha, Nebraska’s largest city, is the perfect balance of Midwestern hospitality and big city life. Despite being relatively humble in size, Omaha offers a range of fantastic museums and art galleries, from the Strategic Air and Space Museum to the Joslyn Art Museum. The city also has a wealth of options for dining and nightlife – it’s known for its jazz history and also has more restaurants per capita than almost anywhere else in the world. Don’t miss the city’s famous Omaha steaks, but be sure to branch out and try the rest of what Omaha has to offer. One of Omaha’s and indeed, Nebraska’s, biggest attractions is the Henry Doorly Zoo and Aquarium in Omaha. We named the Omaha zoo the number one RV trip to take in Nebraska for a reason. It’s actually the number one paid attraction in the state of Nebraska. While every city has its own zoo, the Omaha zoo is an especially unique and exciting zoo. It features the world’s largest indoor rainforest, the world’s largest nocturnal exhibit and indoor swamp, and the world’s largest indoor desert. It’s also home to an impressive, recently renovated aquarium. Additionally, just west of Omaha, you’ll find a drive-through safari park that’s also run by Omahas Henry Doorly Zoo and Aquarium. It’s called Wildlife Safari Park, and it gives visitors the chance to spot eagles, buffalo, elk, wolves, and more. There are plenty of RV rentals near Omaha, Nebraska. If you’re looking to expand your trip beyond Omaha, there’s plenty more to be seen in Nebraska. However, Iowa, Kansas, and Missouri are not far if you really want to do a full-blown road trip through America’s heartland. Wherever you go, it’s easy to find a campground near Omaha’s Henry Doorly Zoo and Aquarium. Here are our top 10 picks for RV parks near the Omaha zoo. Situated in Bellevue, Nebraska, this charming RV park is just south of Omaha and only 15 minutes from the Henry Doorly Zoo and Aquarium, making it one of the most convenient nearby campground. 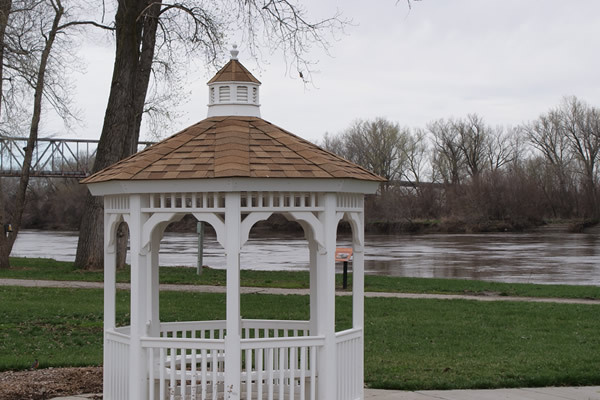 Haworth Park is a scenic park on the banks of the Missouri River, providing both tranquility and proximity to several restaurants and amenities that are within walking distance. There is a Walmart just 6 miles away. This family-owned park has a welcoming, community feel to it with friendly owners and helpful hosts. Its location just 15 minutes outside of downtown Omaha along the banks of the Missouri River make it perfect for enjoying both city and nature. While the amenities are more minimal than other nearby campgrounds, it is one of the most affordable RV parks in the area. Nestled along Walnut Creek Lake in Papillion, Nebraska, you’ll find this scenic and serene campground. It sits in a 450-acre recreation area just 25 minutes south of downtown Omaha. The center of the town of Papillion is just about a mile away from the campground and offers shops, dining, and several golf courses. A few amenities, including Fire Barn Sports Bar and Grill, are located right outside of the entrance to the recreation area. If you prefer to spend your vacation on a lake with access to outdoor recreation but still close enough to visit the attractions of Omaha, this campground is ideal. It houses a recreation area that is 450 acres and includes a 150 acre, leaving room for plenty of activities from hiking to biking to boating and horseback riding. The surrounding area is beautiful, with lake views and forested walking trails. Although the amenities are basic and do not include a shower, the price is one of the lowest you’ll find. 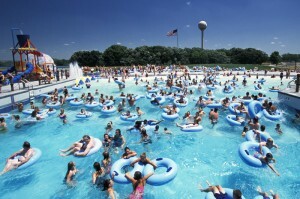 This city-run campground on the outskirts of Omaha is only 20 minutes from the Henry Doorly Zoo and Aquarium. 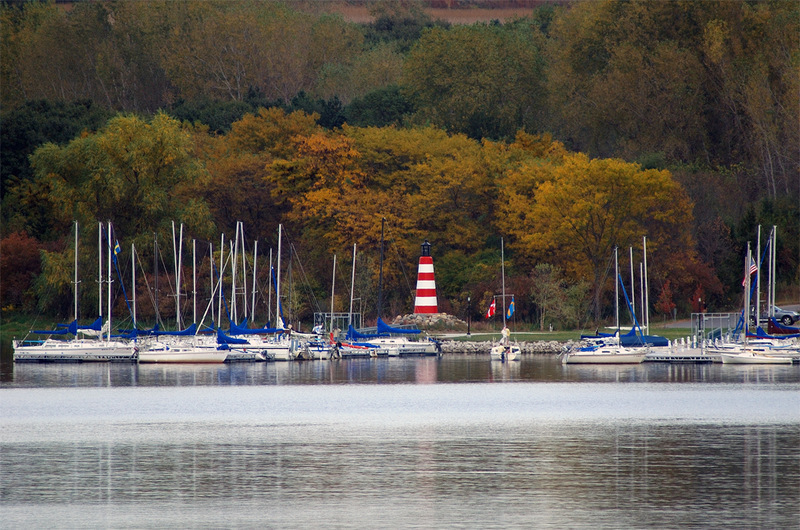 Located right on Omaha’s popular Cunningham Lake, you’ll have access to scenic views and great outdoor activities. The campground is also right off of I-680 near plenty of shopping, restaurants, and fueling options. This popular campground gives visitors immediate access to both Omaha and Cunningham Lake. You can walk along the lake’s many hiking and biking trails, do some excellent fishing, rent canoes, or wade along the park’s small beach. If you like to do outdoors photography, this campground is one of the best places in the area to do it. The rates are also incredibly low for the location. This campground is in Louisville, Nebraska in the middle of a large state recreation area on the Platte River, adjacent to Platte River State Park. The town of Louisville is small but does offer a few important amenities, such as vehicle maintenance and a handful of restaurants. It is only a couple miles from I-80 which will take visitors into downtown Omaha within 30 minutes. Camping at Louisville State Recreation Area means you’ll be surrounded by a massive green space with no less than five reservoirs for fishing, boating, and swimming, as well as the banks of the lovely Platte River. If you’re into outdoor recreation but want to be close to Omaha and the Henry Doorly Zoo and Aquarium, this is a great place to stay. Services and amenities may be minimal, but the campground is very affordable. Along the state line between Nebraska and Iowa, sitting on the banks of the Missouri River, you’ll find N.P. Dodge Park. One of the only campgrounds within the limits of Omaha, it’s surrounded by all of the dining and attractions that the northern edge of the city has to offer. It’s also just 20 minutes from the Henry Doorly Zoo and Aquarium. Because this campground is located in a park, it’s surrounded by nature despite being in the middle of a city. This city of Omaha park and campground is so close to the Missouri River that you can launch your boat into it from just outside of your campsite. Conveniently, it is also on the northern edge of Omaha, making it easy to get to all local attractions.Youll find ample hiking and biking trails in the area, and there are casinos just across the river in Iowa for a night out without the kids. 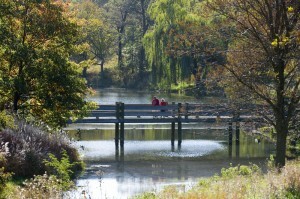 This park is active and popular with people looking to visit Omaha while enjoying the outdoors. This popular state park campground is located just off of Interstate 80 in Ashland, Nebraska. The Strategic Air Command and Aerospace Museum is right outside of the park, and the town of Ashland offers some great dining options as well as the Iron Horse Golf Club. Omaha is just 30 minutes away, as is Lincoln, Nebraska, making this the perfect spot to park your RV if you are looking to visit both. Apart from being right in the middle between Lincoln and Omaha, Nebraska, this state park is a Nebraska favorite for many reasons. It is clean and scenic, offering visitors a wealth of activities and great modern amenities. Youll find lovely fishing and boating opportunities along the banks of the Platte River, scenic, forested walking trails, and wildlife spotting opportunities. There is plenty to keep the whole family busy, from arts and crafts, softball and basketball courts, and even a theater to a massive wave pool for the kids. For faithful KOA campers, this is the closest KOA RV park to both Omaha and Lincoln, Nebraska, about 20 minutes from the former and 40 minutes from the latter. It’s just off of Interstate 80, making it very convenient to access and placing it near lots of useful amenities like restaurants and fueling stations. It’s also right next door to the Nebraska Crossing Outlets, for any big shoppers in the family, as well as a Flying J Travel Center. You’ll also find casinos, wineries, and golf courses nearby. There is no shortage of things to do at this KOA just outside of Omaha, Nebraska, and the activities on-site offer plenty of fun for the whole family. Relax by their pool and sauna as the kids play on the jumping pillow, zip line, and ride around on the campground’s banana bikes. Afterward, the whole family can enjoy a game of mini golf, badminton, or beach volleyball. Let the dog play and run freely through their large dog park. The on-site Kornhusker Kafe offers great breakfasts as well as regular ice cream socials, and movie nights, tie-dye activities, and hayrides are just some of the regular events you’ll find at this campground. You can even get a freshly baked pizza delivered to the door of your RV! In Greenwood, Nebraska, just off of I-80, you’ll find this family-friendly campground and RV park. It’s conveniently located right next door to multiple gas stations, restaurants, and an antique mall. It’s also next door to the Nebraska Raceway Park. This RV park is halfway between Lincoln and Omaha, about 30 minutes from the center of both cities. It’s also near several recreation areas and a state park along the scenic Platte River. If you’re visiting both Lincoln and Omaha, Pine Grove RV Park is a fantastic place to stay. They offer plenty of activities for the whole family, including a large, well-maintained swimming pool, a lodge with a big screen TV and movies, a playground, volleyball, tennis, horseshoe pits, and a fitness center. Their campsites are very clean, quiet, level, and big-rig friendly. They even offer military discounts. Just across the state line in Honeycreek, Iowa, you’ll find the Hitchcock Nature Center. It’s convenient to all of the area’s major interstates, located just a couple miles from I-80, I-29, and I-680. You can be at the casinos of Council Bluff, Iowa in 25 minutes and the Henry Doorly Zoo and Aquarium or downtown Omaha in 30 minutes. At the same time, it’s removed from the city and located in a protected wildlife area, so it’s very scenic and peaceful. If you’re looking to get in touch with nature and spot some wildlife, this is one of the best places to do it in all of Nebraska. This beautiful campground is surrounded by the Loess Hills, which offer scenic views and fantastic nature trails, and the on-site staff at the visitor center are very knowledgeable regarding both the park’s natural habitat and the attractions of Omaha. The campground is impeccably clean and well-maintained. The Loess Hills are a special part of Nebraska and Iowa – they’re some of the largest remaining prairie lands in Iowa, and they are home to a variety of local wildlife that isn’t found anywhere else in the state. In the Missouri Valley of Iowa, Wilson Island Recreation Area sits on the Nebraska border and the banks of the Missouri River. It’s just under 30 miles from both Council Bluff, Iowa and Omaha, Nebraska, and you can get to the Henry Doorly Zoo and Aquarium in about 35 minutes. While it’s a bit removed and rural, it’s only a few minutes off of I-29 and I-680 where you’ll find a mini mart and a couple refueling options. Wilson Island Recreation Area is a secluded park that’s great for families looking to get away from it all and stay in a quiet, calm campground. The recreation area overlooks the Missouri River and provides scenic outdoor space and the opportunity to view wildlife. In order to get to Omaha, you’ll pass through the beautiful, iconic Loess Hills in Iowa. This is a simple, rustic, and charming campground not too far from the city. There are dozens of campgrounds in the greater area of Omaha, Nebraska offering a range of options, from city RV parks to rural campgrounds to protected nature parks. All of the RV parks and campgrounds we’ve listed are under an hour from the Omaha Henry Doorly Zoo and Aquarium. In fact, most of them are less than 30 minutes away from downtown Omaha. Whether you’re looking for a fun family vacation filled with activities or a more restful weekend getaway, you’re sure to find a campground near Omaha’s Henry Doorly Zoo and Aquarium that meets your needs.